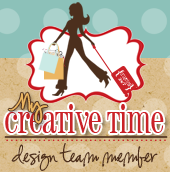 Happy Friday My Creative Time Friends!! 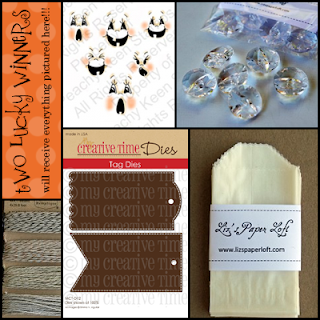 Today is day #2 for the the MCT Halloween Blog Hop! If you came from Micia blog, you are in the right place! Did you get a chance to hop along yesterday? If not, you do not want to miss a thing. Here are the line ups for both days. Today, for my project, I altered a wooden Coffin which you can find at Michael's. I primed the box and then painted it black. I used molding paste to add dimension to box. 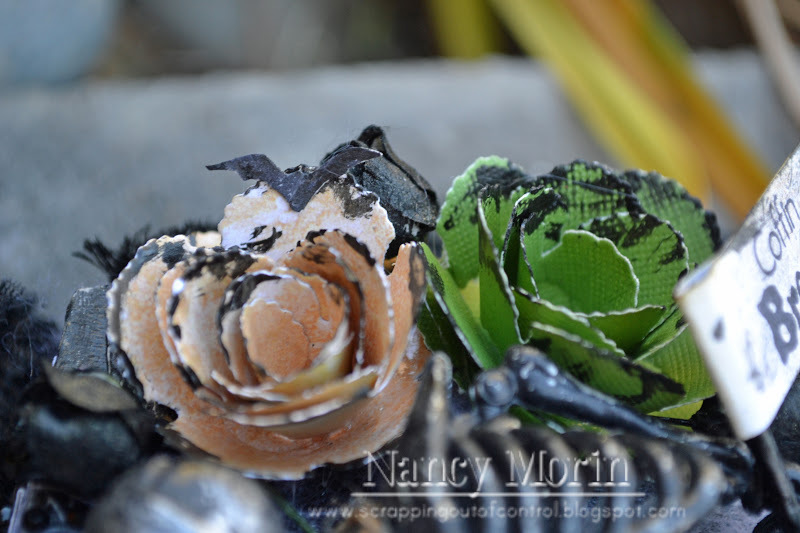 I then used the Weather Wood Medium to give it a crackle effect. I then sand it down to make it look even more weathered. It was a long process but I love the end result. I added a plastic skeleton that I got from the dollar store. The skeleton is holding a sign I made using the Treats for My Sweets stamp set. The flower are from the Rolled Flowers Die Set. Spooky Right?? I created a mini album to fit inside the coffin. I just measured the box until I had the right size. I added more MCT Stamps to the mini album. I used the Just Simply Live Die to bind my book together. Super cute right?? The flower was stamped with the spider web stamp found in the Treats for my Sweet set. Ok so I had to share this photo of my Roxi doggie because she wanted to be in the photo :). I was a little mad at her for tearing up the yard! Up next is Miss Nikki! Go show her some love! Don't forget about the sale!!!! Thank you for stopping by today and make sure you visit the design team for more inspiration!! Big hugs to you all!!! Nancy ~ this is truly WICKED and HAUNTINGLY FABULOUS! Okay I LOVE the wooden coffin idea! CLEVER but to add the skeleton ~ eek ~ LOVE!! OMG the details are simply AMAZING and done to PERFECTION!!!! WOW! Oh look at pooch Roxi ~ too CUTE!!! AWESOME job like always!!!! Your coffins are to DIE for ! LOL ! Soooo cute and detailed! TFS!! WOW!!!! you are AWESOME my friend! I just LOVE EVERY single detail you have put in your coffin! & the mini album is a FABULOUS BONUS!!! Love Love Love! SOO beautiful,Nancy!! I love everything you did here!! The coffin is amazing just like your Book!! 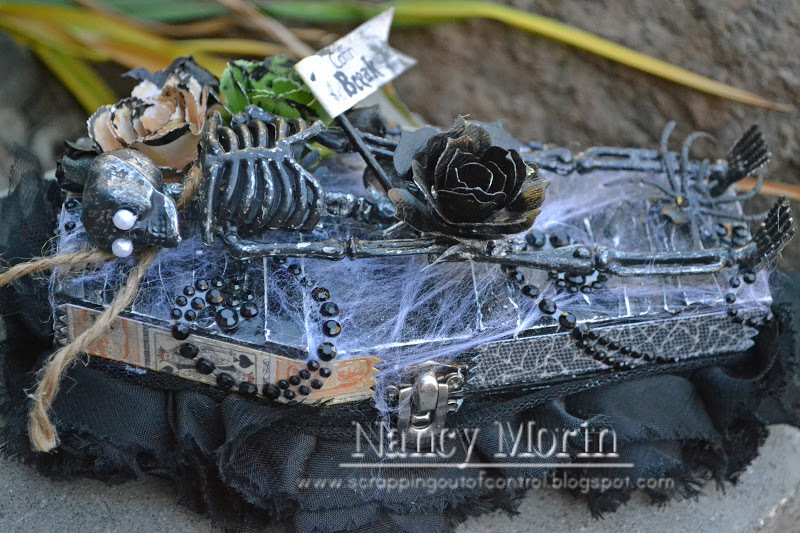 This is a super cute coffin! The effects are extremely nice. Who doesn't love a great coffin and you have outdone your self on this one. Great detail thanks for sharing. Great coffin. Love all the details. 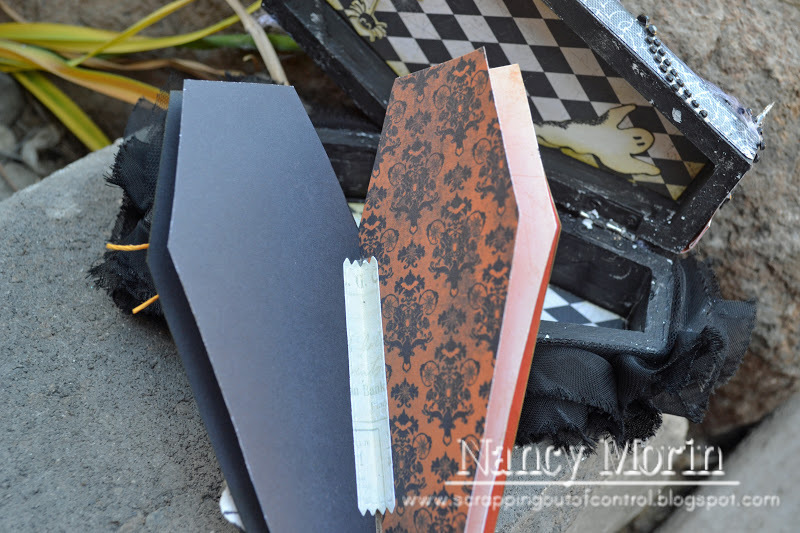 That coffin is fabulous and love the mini album inside! And Roxi is so cute (even if she did tear up the yard!). Very cool love the little mini inside!! 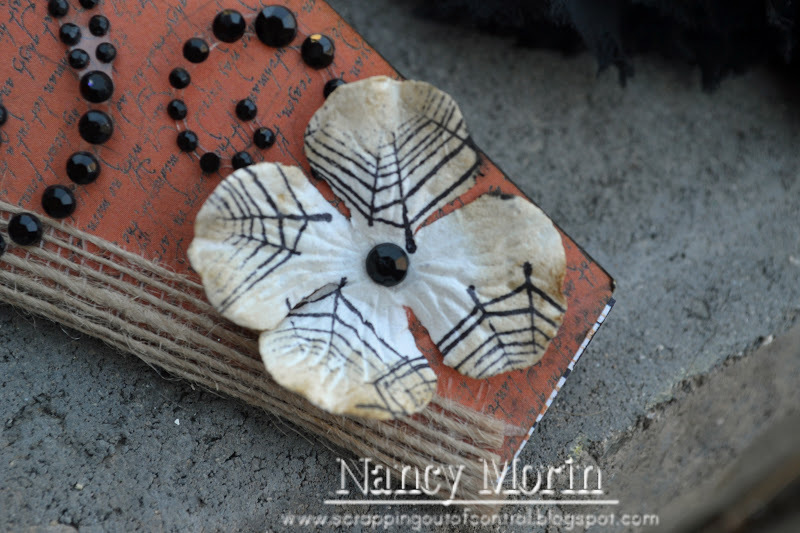 Nancy your project is awesome girl i love your alterations and the mini book in side fab-u-lous!!!!! 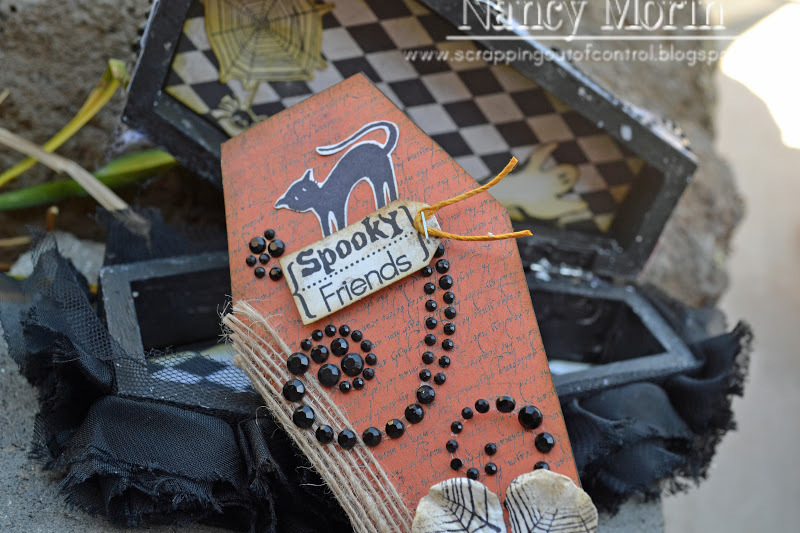 Spooky little coffin and your dog is adorable! Such a cute idea and spooky too!!! Thanks for sharing such a beautiful and creative album the coffin is just perfect! What a clever idea..mini album inside the coffin...super cute! What an awesome Halloween project! 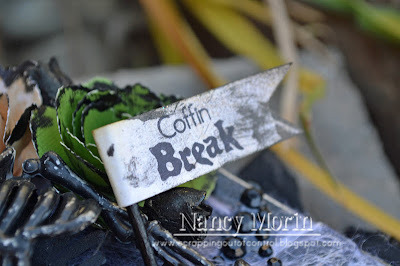 Love all the details you added to the coffin!! What a clever idea to put a mini inside! Great job on both projects. The box looks wonderful and spooky! Poor Roxi...she had to get your attention while you were working on that fun paper coffin. 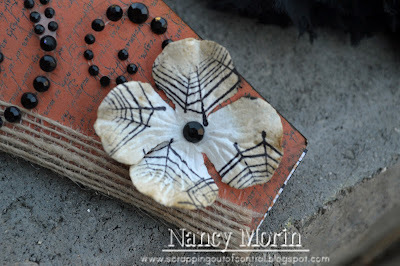 I love incorporating Dollar Finds with my crafts. I love this little mini album...super great for grandma...me...to carry in my purse with pics of my precious grandbabies! Wow! This is incredibly spooky! I love all of the distressed elements! Beautiful job! What tremendous work! I love it!!!!! 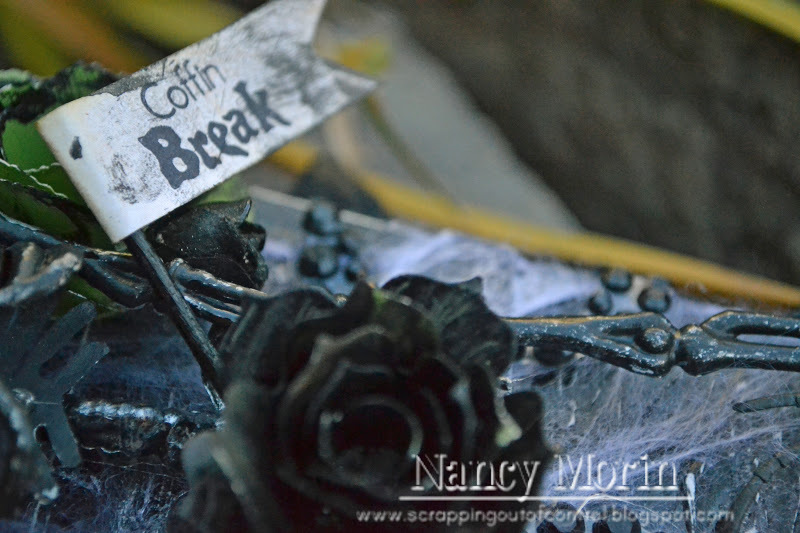 Spooky coffin break box and creative mini album for inside! I love your spooky coffin. Such a great idea. What an adorable coffin. I think it is perfect. Very spooky and awesome creation!! nancy, this is SPOOKTACULAR! I love the stamping on the flowers too! This is positively spooky!! Which is great for Halloween! I love that a mini album fits inside. Ewe! This is creepy cute! Eeeeek!!! this is so amazing! Wow, what a awesome project and you decorated so fantastic. Love the details-AMAZING!!! Oh, and Roxi is beautiful! TFS! This project is so cool....I love it! Love Roxi also. Thanks for sharing. Love it! Your coffin design is awesome - fantastic details. Thank you for sharing. Your coffins are so wicked! lol I love them!! I also love how you placed a mini in the one! Sooo cool! 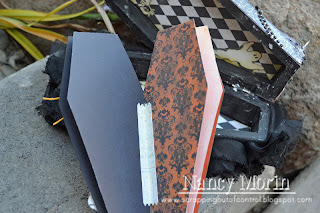 Can coffins be pretty? LOL! These are! My Jax says "hello" to Roxi! Thanks for sharing! :) Happy Halloween! I am sure you couldn't stay mad at that face. The coffin is just too cute. What an awesome coffin!! I just love it! And what a neat idea to make a little book to go inside!! Your coffins are so deliciously spooky. Love the mini. Your Halloween Coffin & Mini Album Are too Cute!! Wsy to spooky. Love the skeleton dude! Great spooky project. Adorable dog! I love your whole project. Great idea to make a coffin book. Thanks for sharing. Absolutely fab and spooky!! Love how creepy and cute you have made it at the same time. Such a wonderful project, beautifully done. I love these! When they go on sale were buying up lots for next year!! I paint these wooden boxes with my niece & nephew. Wonderful project & i love the colors/style! What a great idea to make a book to fit inside your coffin. Love this! Give Roxi a big hug and kiss! 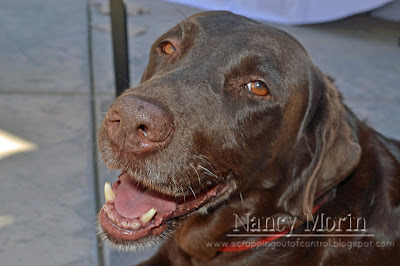 Love your project and love your dog too; I have a black lab named Roxie!! What a spooky yet fabulous project! I love the end result too! Everything looks so great especially the little mini inside! What a clever idea! Fabulous job! WOW!!!! You have outdone yourself with this one!!! I absolutely LOVE it!! That skeleton is just the coolest addition to the coffin!! And a mini album....Wow!!! Great job as always!! Great coffin! Love that it is an album, too. TFS. Very cute project, love all the embellishments and the mini album is so clever. WOW, love all the Spooky & Eeerieee details. Flowers look great. Wow! That coffin is very Halloween. Love the little mini idea. Great job using Emma's stamps. Very nice! Indeed it is a spooky coffin! Very spooky coffin! Love the "dead" rose and the skeleton holding a sign. And a coffin mini album, is super cute. Very, very clever. Thanks so much for sharing. Great idea to put a brag book in the coffin! Love it!!!! Kind of creepy, yet totally cool!!! This is such a great project.. I LOVE IT!!! And your little doggie is just the cutest, why wouldn't she want to be in the picture? LOL! Whoa, that is an AWESOME coffin. I love it.